OXFORD, Miss. 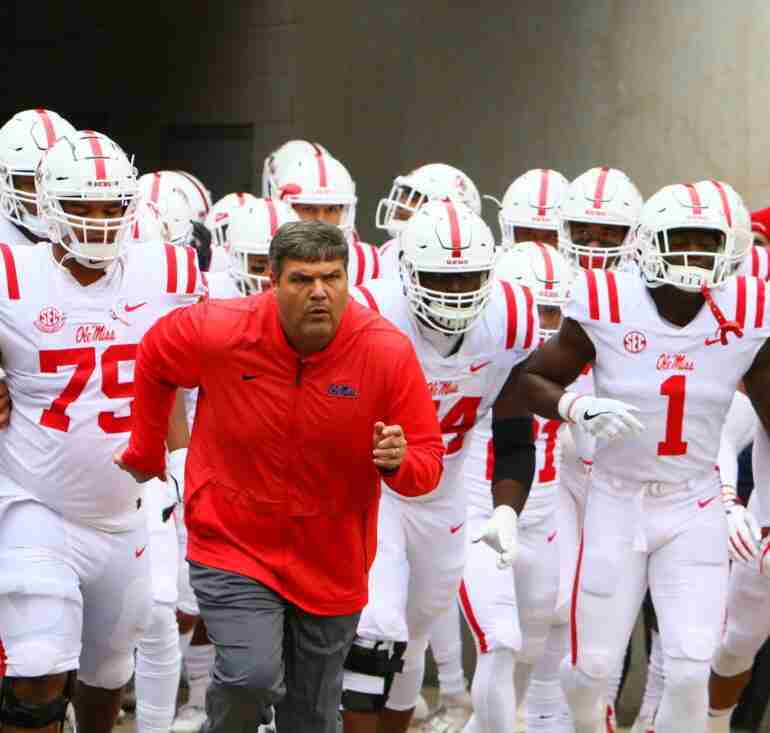 — Ole Miss head coach Matt Luke and his 2018 Rebels are entering their final week together as a football team, and they will spend one of those last evenings on the field against SEC East foe Vanderbilt Saturday night in Nashville. While the last three contests this season for Ole Miss have been losses, this team is still fighting and pushing forward to the end of SEC play. Vanderbilt currently sits at 4-6, 1-5 (SEC) overall, while Ole Miss finds itself at an even 5-5, 1-5 (SEC). The Rebels and Commodores have played 92 times, dating all the way back to 1894, making this the third-most played series in Ole Miss history behind the series with LSU and State. For Vandy, a win would put them in good position to become bowl-eligible. Ole Miss, on the other hand, will be playing for pride and for the future. 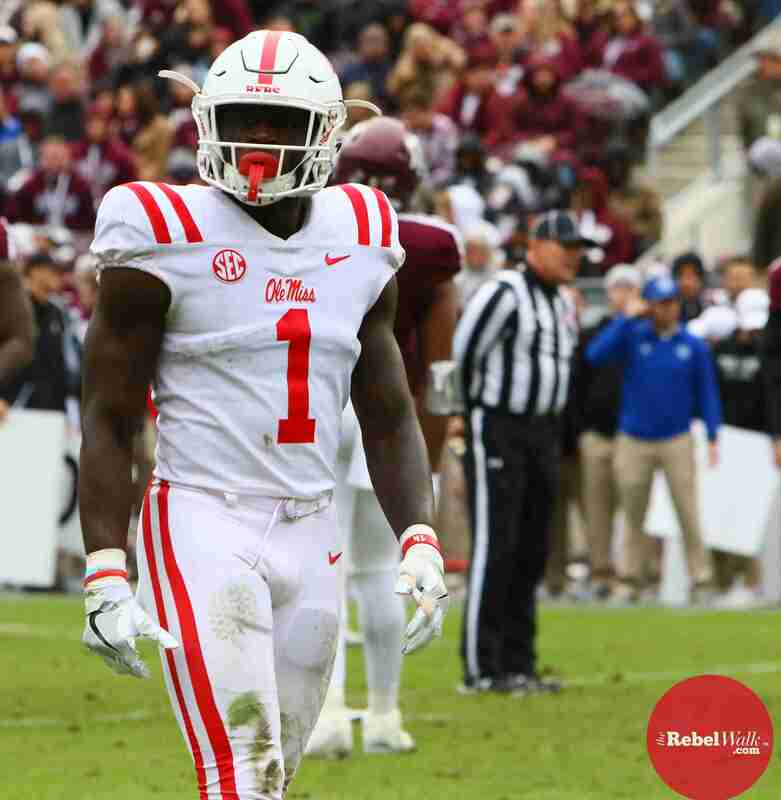 After such a rough stretch going through the gauntlet of the SEC West, the Rebels hope to finish the season on a high note that would give them a boost going into an all-important offseason. Fans can expect an emotionally-charged, competitive game in Nashville. This Derek Mason-coached team plays tough, fundamentally-sound football. This year, the Commodores have found offensive success with the duo of senior QB Kyle Shurmur and first-year running back Ke’Shawn Vaughn. Shurmur has been a consistent leader and game manager for the Commodores. He is fifth-best in the SEC when it comes to passing yards (2,286), and he has a solid TD-INT ratio at 17 to 5. His favorite target through the air is Kalija Lipscomb, who has 731 yards this season and has added 7 touchdowns thus far. Although they do have an effective passing attack that averages 232 yards per game, it is the Commodores’ running game that has stood out to most over the last couple of years. Many thought the departure of running back Ralph Webb would spell doom for the Commodores’ running game, but freshman Ke’Shawn Vaughn has dispelled those notions. Vaughn has helped Vandy average more than 160 rushing yards per game and has notched 849 yards and 9 TDs in his first season at tailback. While these numbers are not the most glamorous, they are impressive given that Vandy’s offensive line is not the team’s strength. Vaughn’s last two games, in fact, have seen him put up incredible numbers, including 172 yards against Arkansas and 182 yards against Missouri, both on the road. Count Coatney as one who has taken note of the freshman’s ability. “He’s really good. He has done good against everyone they have played,” the Rebels’ defensive lineman said of Vaughn. “He gained a lot of yards against Georgia, and they have a really good defense. Once he gets to the second level, he breaks off yardage in chunks. We have to tackle him before he gets going and contain him. We cannot let him break out and get going, but he is a very good back so when he does have a nice run, we have to play the next play and not let it get us down,” Coatney explained. The linebacker play is what really makes the Derek Mason-coached defense so effective. At the inside linebacker position, Jordan Griffin currently ranks second in the SEC with 98 total tackles and 50 solo. In eight of VU’s games this year, Griffin has been able to post, at minimum, 7 tackles, which shows how consistent of a presence he is when the ball is anywhere in his vicinity. Thus far in the season, the Vandy defense has also been known for creating an impressive amount of turnovers as, overall, the Commodores have a turnover margin of +6, while they have forced a total of 12. Let’s now flip the field and focus in on our Rebels. Sitting at 5-5 with 2 games left in the season, Ole Miss is looking to finish the season strong, starting this week in Nashville. Senior QB Jordan Ta’amu currently leads the SEC and is ranked second nationally in passing yards per game with an impressive 333.4. 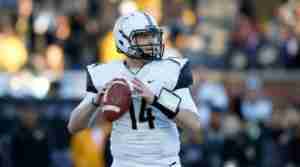 He is also second nationally with 3,374 total passing yards. The Nasty Wide Outs (NWO) are still doing their part, continuing to be very effective downfield threats for Ta’amu. Last week was a big week for the NWO. Brown was able to secure the all-time Ole Miss career receiving yards title (2,711) as he picked up 127 in College Station. Lodge also had a nice outing with 122 yards and a touchdown to help out his Rebels. 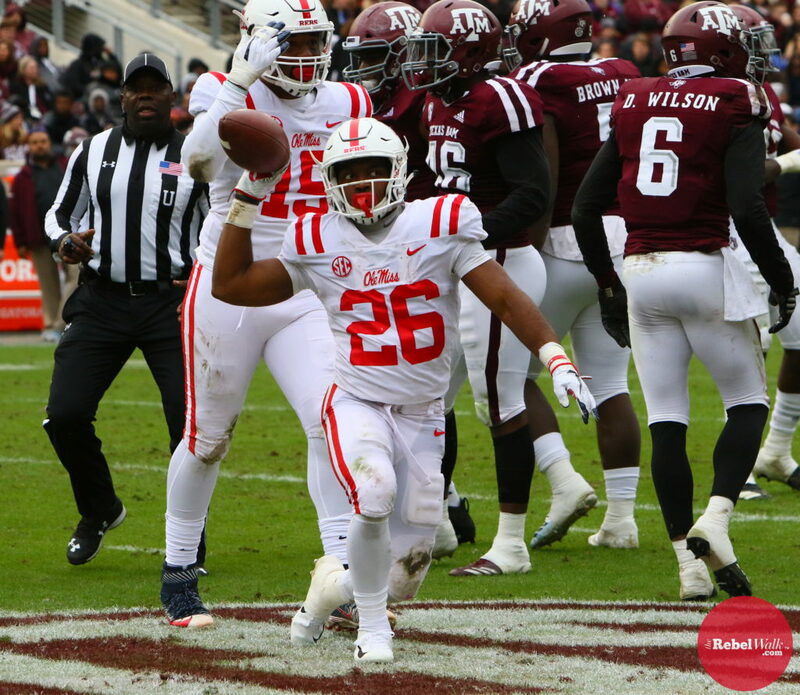 The current leading rusher for Ole Miss, Scottie Phillips, left last week’s contest in College Station with an ankle injury that put him on the sideline for the remainder of the game, as well as sitting him out of most of practice this week. As of writing this, Phillips is questionable for the game against Vandy. If Phillips does indeed have to sit out Saturday, the majority of the load will fall onto the shoulders of true freshman Isaiah Woullard. The 5-foot-9, 200-lb. RB out of Hattiesburg, Mississippi, is ready for the task at hand. “It’s a big deal. It’s a blessing,” Woullard said this week. 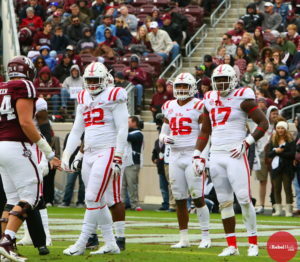 The defensive line, including NT Benito Jones (25 tackles, 7.0 TFL), DT Josiah Coatney (48 tackles, 3 TFL) and DE Qaadir Sheppard (42 tackles, 9.0 TFL) are all coming off of solid performances against A&M, and they will look to make a stand against yet another highly-talented SEC running back. 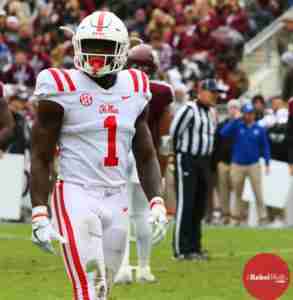 At linebacker and moving into the secondary, Ole Miss has been led by two players who have stepped up in both the run and pass defense: sophomore linebacker and leading tackler Mohamed Sanogo (92 tackles, 4.5 TFL), along with veteran safety Zedrick Woods (68 tackles, 1.0 TFL). Sanogo and Woods look to help guide the young Landshark defense to a successful weekend in Nashville. Kickoff is set for 6:30 p.m. (CT) and the game will be televised on the SEC Network.